Meridien Beach is a friendly and modern family run hotel and is ideal for relaxing and enjoyable holidays. 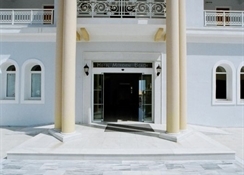 The hotel comprises of a main building and 2 annexes, constructed in a modern style. The hotel offers a swimming pool with children's section. 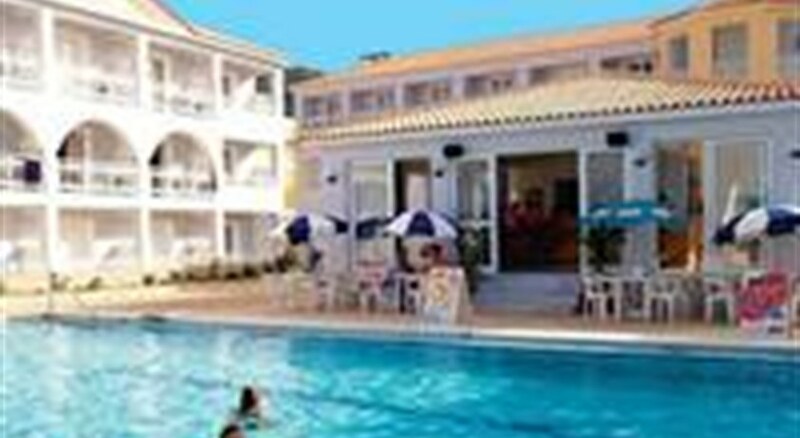 There is a sun terrace with sun loungers and parasols available for guests. There is a poolside bar where guests can enjoy refreshing drinks and snacks, there is a lounge, 24 hour reception, safety deposit boxes for rent at charge payable locally. The hotel is located in the heart of Argassi resort centre, right on the beach. A variety of shops, bars and tavernas are only a few minutes walk from the complex and Zakynthos town is approximately 3.5 Km. Meridien Beach Hotel offers all accommodation on a self catering basis. The spacious studios have room for 2-3 persons. All studios are equipped with a kitchenette with a selection of utensils adequate to prepare a light meal. All studios offer air conditioning, satellite television, direct dial telephone and all rooms have private facilities and balcony or terrace with either side or full sea view. After leaving the airport, just follow the road signs for Argassi resort.